Your Wilmington area home is under contract, but you’ve just learned that the appraisal came back lower than the contract price. Now what do you do? Well, there are a few options depending on your motivation and the appraisal price. 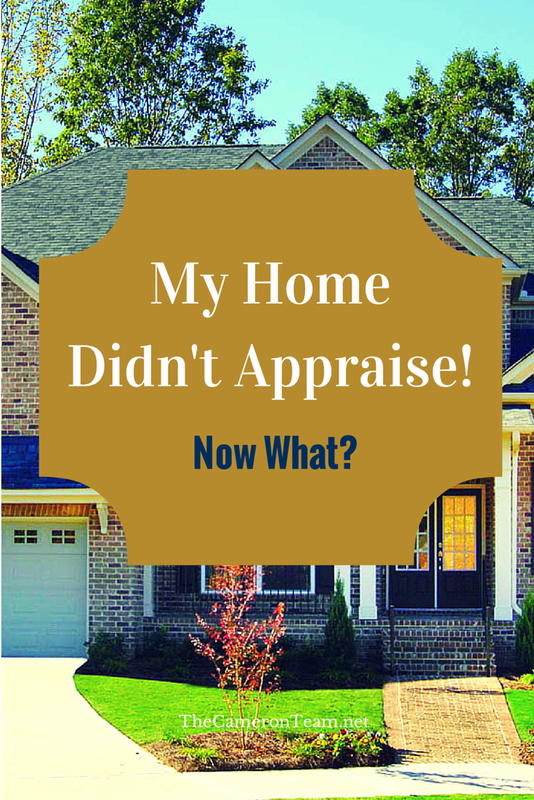 Challenge the Appraisal. There’s a chance that there’s either an error in the listed features of your home or the appraiser overlooked a comparable. The latter is especially possible if the appraiser is from out of town. So, you’ll need to provide the lender with a list of comparables. However, you should be warned that you need good proof to win an appraisal challenge and the buyers may not want to wait for you get it sorted out. If the difference in price isn’t that large, it may be more worthwhile to choose another option. Request a Second Appraisal. Depending on the loan and lender, you may be able to request a second appraisal, but be forewarned – someone needs to pay for it. It will likely be you. This can also take additional time, which may need to be negotiated into the contract. Accept the Appraised Value. If you’re ready to sell, you may want to just accept the results of the appraisal and agree to lower the purchase price. This way, you’ll be free to move on after the closing and the buyers will get the home they want. Terminate the Contract. If you don’t need to sell and the appraised value is going to leave you with too high of a loss, you may decide to terminate the contract and stay in the home. Most areas of Wilmington will see a 3-5% property value increase in the next few years, but you need to decide if that’s going to be enough to make up for your losses down the road. You also need to realize there is the risk that your property won’t have a value increase and you may not be any better off in a few years. Ask the Sellers to Pay or Agree to Split the Difference. You can always ask the buyers to split the difference or pay a minimum percentage (whatever you can afford). If they really want the home, they may be willing to bring this money to the table. Just keep in mind that no buyer really wants to pay more than a home is worth. If the difference is more than they can justify by desire and recoup in rising property values, it may not make any financial sense for them. After all, this money will come out of pocket, because the lender isn’t going to want to pay for more than the home is worth. Remember, every case is different, so speak with your Wilmington Realtor about your best options. Haven’t listed your Wilmington area home yet? Have questions about putting your home on the market? Give us a call or send us a message through our Contact page.